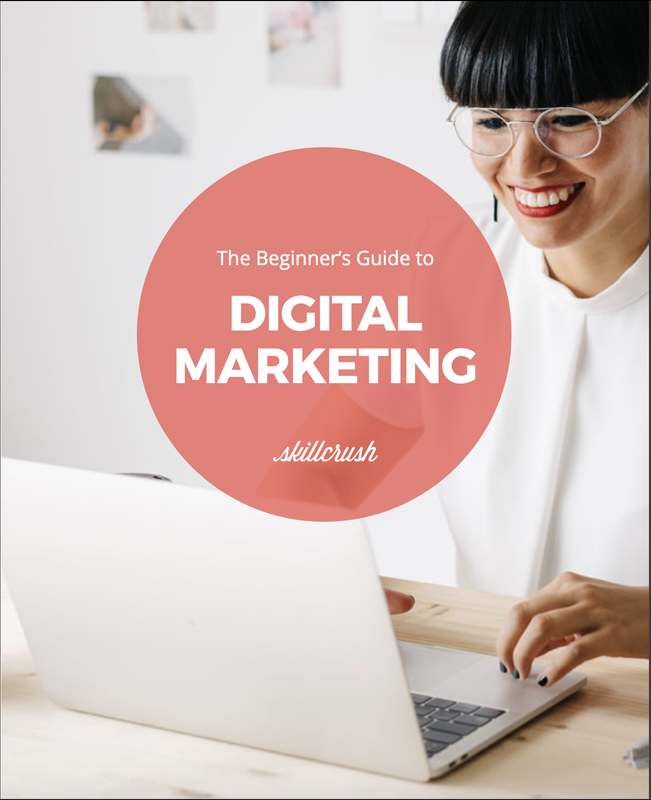 This free guide is chock-full of pointers and resources that will show you EXACTLY how to dive into the world of digital marketing. It’s easy to get bogged down thinking that digital skills are only important for tech-specific jobs like web development or web design. But the truth is, in today’s workplace, digital skills are job skills—a fact that’s highlighted by the increase in careers related to digital marketing. As of this writing, digital marketing as an industry pays an average salary of $40,363 for junior positions and $63,502 for mid-level roles. Meanwhile— according to market analysis by Burning Glass Technologies—174,141 digital marketing-related jobs were posted in 2016, accounting for 39 percent of 443,440 overall marketing jobs and providing a 30 percent increase from 2011’s digital marketing job stats. As these numbers grow, “digital” marketing is becoming synonymous with marketing in general—meaning that adding digital skills to your repertoire as a sales and marketing professional is less of a speciality and more of a necessity. Still, before you decide that digital marketing is right for you, you need to understand what digital marketing is, including what sets it apart from traditional marketing, the skills required, and how you can learn them. 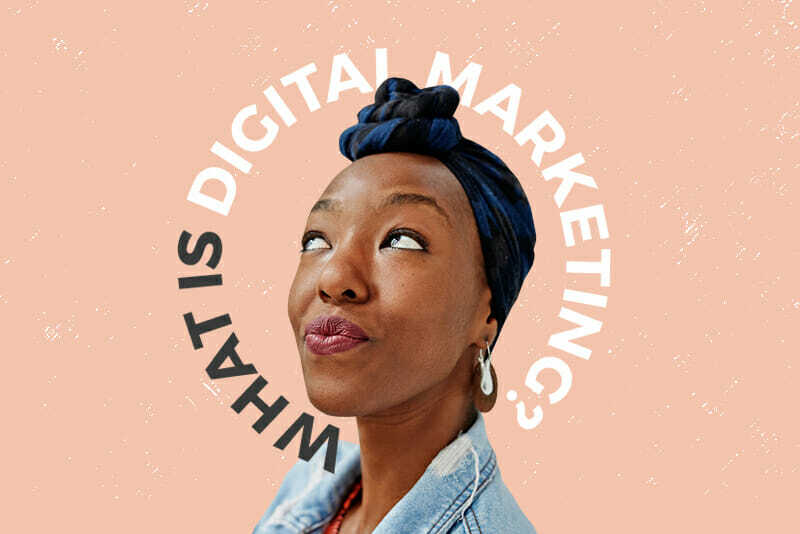 In order to answer these questions, we’ve put together this guide to dive deeper into what digital marketing is all about. Digital marketing includes all strategies applied online to market products and services, whether you’re targeting potential audiences via computer, iPad, or app. If you follow brands or influencers on Instagram, you’re experiencing digital marketing daily—and likely every time you open your feed. Same goes when you take a deep dive into Google search results to find anything from a new dinner spot to where to find online digital marketing courses (ahem.). Because the internet is a big, virtual place, digital marketing gets used by everyone from online retail juggernauts like Amazon to local brick and mortar businesses using a website to advertise their wares. Which illustrates exactly why digital marketing is such a vast and growing field. Can you think of many businesses of any size that DON’T have an online presence? Earlier this year, a Pew Research study found that about 25 percent of U.S. adults say they’re “constantly” online and that 75 percent of American adults go online once a day. That number is swinging consistently upward. Reaching out to locally targeted audiences—e.g. purchasing print or broadcast advertising that runs in specific geographical areas. Producing physical marketing materials—things like brochures, catalogs, and fliers. Relying on traditional delivery channels—think familiar delivery methods like television, newspaper, magazine, and radio ads, mailed advertisements, and voice sales calls. In-person marketing events—establishing a brand presence at conferences, conventions, seminars, etc. Customizing an audience from a global population—digital audiences can be reached anywhere with internet access, meaning digital marketers can fine tune their audiences using demographics that best fit their campaign (not only region, but also age, gender, personal preferences, etc). Audience interaction—unlike more passive traditional marketing (e.g. a television viewer watching a commercial), digital marketers are able to interact directly with their audience through forums like website comment sections, social media accounts, and interactive quizzes. Using multiple delivery channels based on audience needs and preferences—dynamic web content allows digital marketers to offer their audience a range of delivery channels (including YouTube videos, Instagram posts, blog articles, and marketing emails), then letting the audience engage with the channels that appeal to them the most. Online marketing events—similar to conferences and conventions in traditional marketing, digital marketers host online events like webinars, product demonstrations, and courses, which can often be attended “live” or viewed afterward on demand. While traditional marketing strategies and campaigns still account for a significant part of the general marketing industry, the ongoing growth and evolution of digital media has necessitated digital-specific solutions for marketing online. With those solutions come specific digital marketing skills and strategies. At Skillcrush, we like to point prospective digital marketers in the direction of a “holy trinity” of skills: Search Engine Optimization (SEO), content marketing, and social media marketing. Together, these three skills form the foundation for any successful digital marketing strategy. You know when you use Google or Yahoo or Bing to search for something (“what is digital marketing?”) and you click on the first couple of articles that show up at the top of the screen? That’s what you want to have happen when someone searches topics relevant to your own product or business, and SEO is the way to get there. Keyword research—Using applications like Ahrefs and Moz to identify specific search engine terms (or “Google searches”) that drive traffic to your site. Web traffic analysis—Using tools like Google Analytics to analyze your website’s traffic numbers and trends, and learning how to use that data to inform and assess your SEO practices. Understanding ranking strategy—Using resources like Google’s Search Quality Evaluator Guidelines to develop effective ways of improving your site’s rankings. Again, this includes both creating SEO optimized site content, as well as improving your site’s architecture. Architecture improvements can involve working with web developers on issues like site loading speeds, outdated or broken links to URLs (web addresses), and optimizing HTML tags (tags that identify HTML documents for visiting web browsers). Studying documents and tutorials like the previously mentioned Google Search Quality Evaluator Guidelines and Moz’s Beginner’s Guide to SEO are great ways to get started understanding SEO, while our instructor-led Digital Marketing Blueprint will walk you through everything you need to know about the topic in detail. Online platforms give digital marketers the unique opportunity to create and deliver this kind of content to their audience on a regular basis (and with relatively low production costs). Instead of paying a premium for traditional airtime and advertising, an SEO optimized blog article or product page can be posted on a company website and attract relevant users via a Google search. 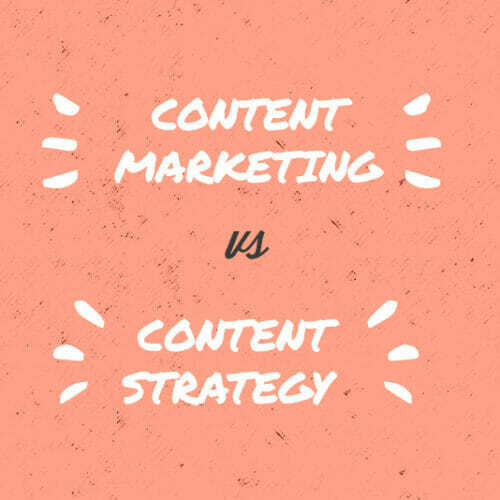 Further, a content marketing strategy goes beyond conventional advertisements in the sense that—in line with the definition above—it provides active value to its audience (versus the limited value of an advertisement in itself). The best digital marketing content aims to read like a magazine article (in the case of blog posts) or play like an informative PSA (in the case of a YouTube video), all with the goal of informing the audience about a problem they’re facing, and how particular products and services will help them alleviate that problem. Unlike a traditional advertisement with a static call to action, digital marketing content can evolve to match the particular point in an audience member’s “buyer’s journey” (a customer’s history of engagement with a service or product), continuing to provide value based on their specific needs in the moment. Blog Posts—articles that allow you to identify your audience’s problems (or “pain points”) and ways to solve them. 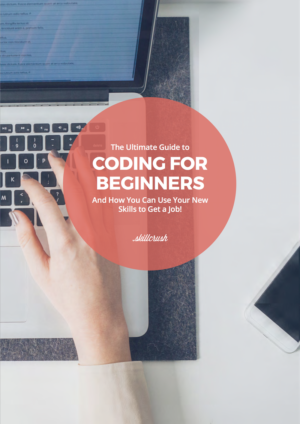 Guides and eBooks—longer form resources that allow you to explore blog topics at greater length. Video content—videos the cover topics relevant to your audience (often posted on platforms like YouTube which can then be embedded on your website). Podcasts—audio content that can be hosted on your website and downloaded by your audience. Marketing emails—newsletters and product announcements sent directly to potential customers. As mentioned above, offering a variety of content channels ensures that you’re providing potential customers with a medium that works best for them, rather than insisting that “one size fits all” and losing audience members along the way. Content marketing is vital to an effective digital marketing strategy, and it’s a topic that’s covered in our Digital Marketing Blueprint. Social media—it’s not just for getting in awkward online fights with relatives and posting cat memes anymore! While those kinds of social media standbys might not be disappearing any time soon, the point is that social media is ALSO a critical pillar for any digital marketing strategy. Going along the digital marketing ethos of channel diversity, a strong social media presence gives audience members another way of engaging with your brand outside of your company website. Social media also works in reverse as a channel for bringing audience members directly to you by following linked content on social media platforms back to your own blog or website. 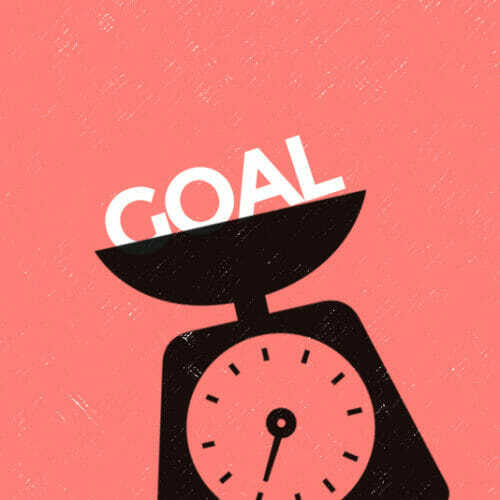 In fact, using social media to promote blog articles or product pages on your website dovetails with SEO efforts, since an influx of new views combined with SEO optimized content will result in an increase in search result rankings—all important tricks of the digital marketing trade. As the intro to Moz’s super-helpful Learning Center section on Social Media Marketing puts it, social media acts as a megaphone for your overall SEO and brand awareness efforts. Social media, its role in digital marketing, and how to use it in your own digital marketing strategy, is another key part of our Skillcrush Digital Marketing course. Ready to Learn More About Digital Marketing? If this digital marketing summary has you interested in learning more about the lucrative opportunities available in the field (and how to take advantage of them), look no further than our upcoming Digital Marketing Blueprint. 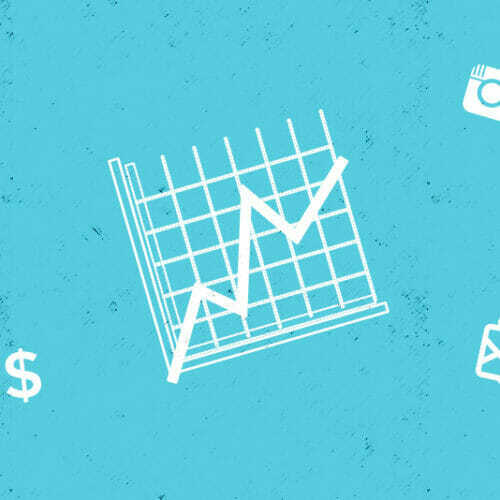 Our digital marketing course is designed to be completed in 3 months (though—with lifetime access—it can be finished at whatever pace works best for you), and covers all of the skills and strategies mentioned above (as well as additional topics like converting leads, paid ads, and hands-on experience with industry standard tools like Google Analytics, Moz, MailChimp, and Facebook Business Manager. 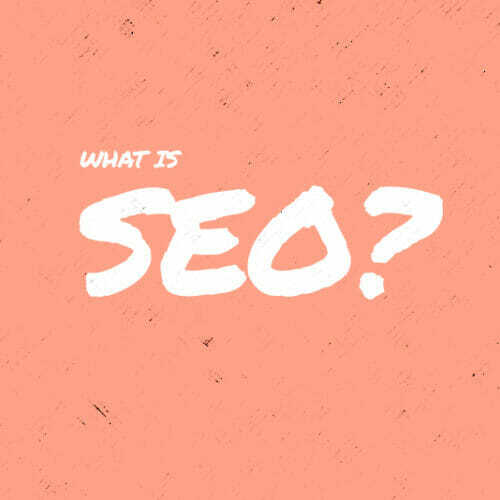 Tech 101: What is SEO?